The best quote that caught my eye on social media lately: “The interest rate on rent is 100%. Remember that when you hear rates in the 4s, 5s and 6s!”. One thing I always tell my clients: “Don’t base your decision to buy on appreciation alone. Real estate goes in cycles meaning prices go up and down. If you have a fixed payment that you can afford, you can weather any cycle, your payment every month will help pay down what you owe like a built in savings account. The appreciation in the market is a bonus.” This is true for purchasing a primary residence and investment properties alike. Everyone’s finances and financial goals are unique. That being said let’s dig into what happened in the market in 2018! Below is a summary of the 2018 real estate market. 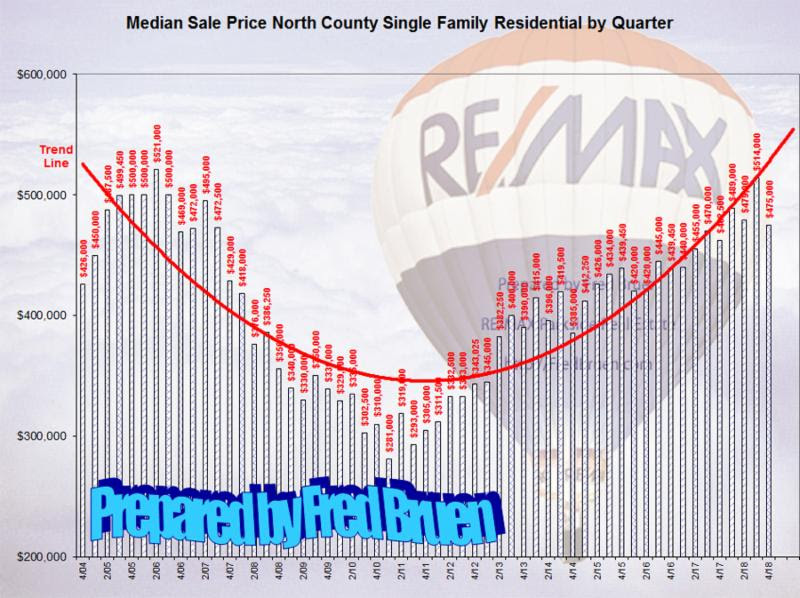 According to the information tracked by Fred Bruen, Realtor with RE/MAX Parkside Real Estate, the number of sales in Northern San Luis Obispo County decreased 15% from 2017 while prices increased 3% over the same period. This tells me that buyers are really taking the time to evaluate their wants and needs before making a purchase. This may be partly due to the slight uptick in interest rates but in the last month or so rates have dropped a little. 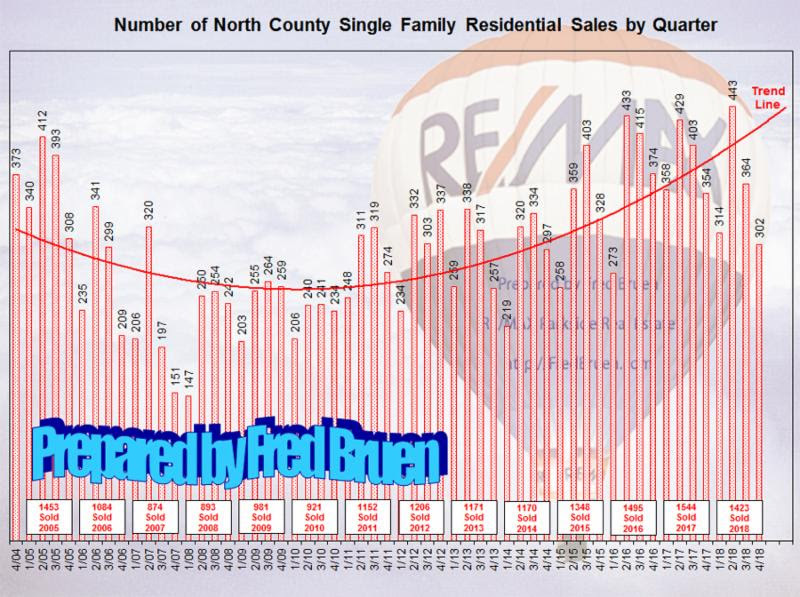 The 2 graphs below show Northern San Luis Obispo County single family home sales totaled 302 units in the 4th quarter of 2018. This is down 15% from the 354 units sold in the 4th quarter of 2017. This downward movement is in line with most markets across the U.S. You may click on a graph for a larger image. 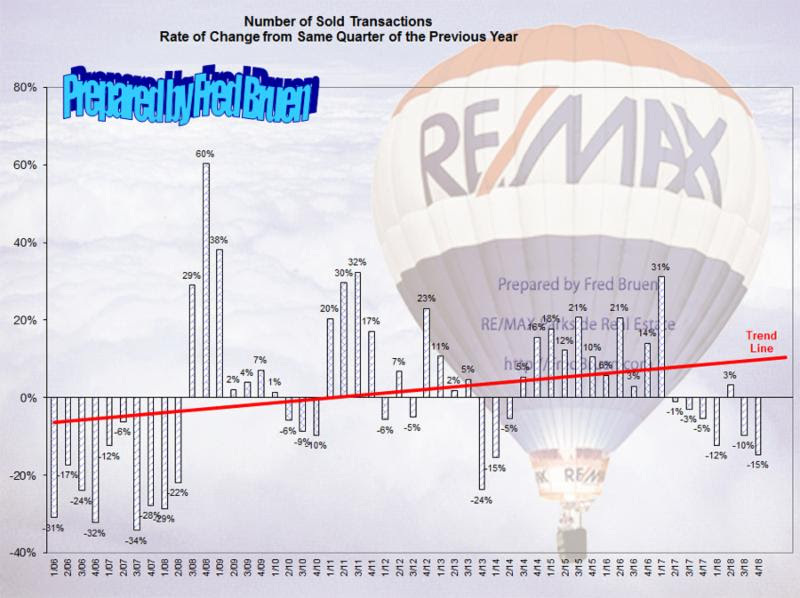 This is an indication that demand is waning when we consider that we had only 2.6% fewer new listings come on the market in 2018 over 2017 but 15% fewer sales. You may click on a graph for a larger image. 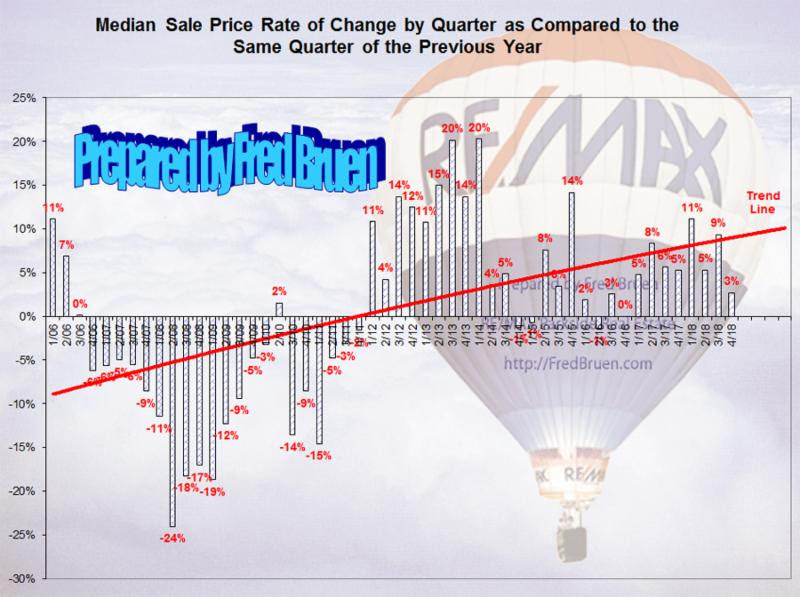 The following 2 graphs illustrate that the median sale price for the 4th quarter 2018, $475,000, is up 3% over the median sale price in the 4th quarter of 2017 at $462,500. That’s 8 straight quarters of upward movement in value for our little micro-market and nearly double the national median sale price increase reported. You may click on a graph for a larger image. Additionally, if you are active or retired teacher, veteran, military, fire fighter, law enforcement, medical professional, EMS let us show you how you can save by using the Homes for Heroes program. The program is not limited so you can use it if you are buying or selling real estate and it’s easy to use. If you are thinking about buying or selling please feel free to reach out to our team, leave a comment below. We are happy to discuss options and help put you in a position to attain your real estate related financial goals.